A Ladies Tinkerbell Costume including a Dress with Detachable Wings – Ideal for a TV & Film theme, a Disney theme, or any fancy dress occasion! Bring a touch of pixie dust to any occasion with this gorgeous Ladies Tinkerbell Costume! 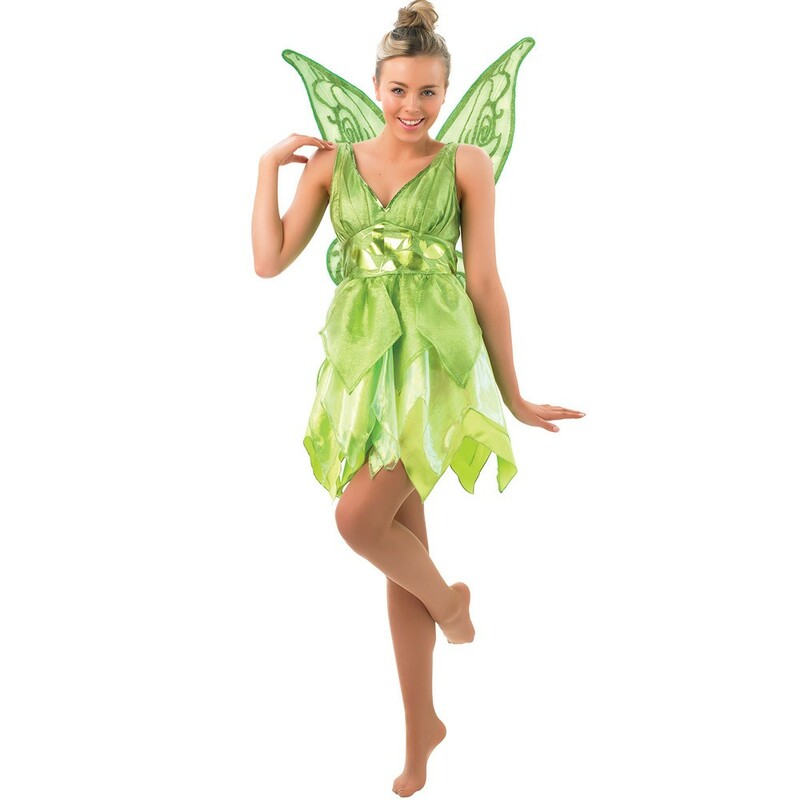 This official licensed Ladies Tinkerbell Costume includes a Dress with Detachable Wings. This stunning light green dress features a plunge neckline with a green trim, a layered skirt with a leaf design, and a light green satin leaf motif around the waist. This brilliant Ladies Tinkerbell Costume also includes a pair of detachable Green Fairy Wings with a beautiful swirl design, to complete this spectacular fancy dress look! Perfect for a TV & Film theme, a Disney theme, Book Week, or any fancy dress occasion, this Ladies Tinkerbell Costume will be sure to make you stand out! Get ready to cause trouble as you share a little magic with this incredible Ladies Tinkerbell Costume! An official licensed Ladies Tinkerbell Costume.